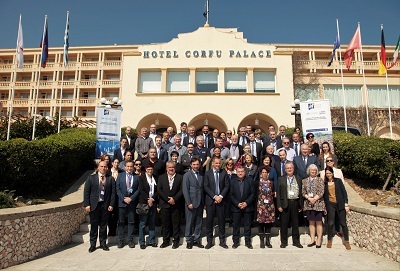 The CPMR Islands Commission (IC) held its Annual General Meeting on 21-22 March, 2019 in Corfu, Ionia Nisia, at the invitation of Regional Governor Theodoros Galiatsatos, bringing together elected representatives from its island Member Regions, EU institutions, experts and academics. During two days of intense and lively discussions, participants had the opportunity to tackle topics of high priority for EU islands’ development and reflect on how to improve EU, national and regional policy-making to better address their specific needs. 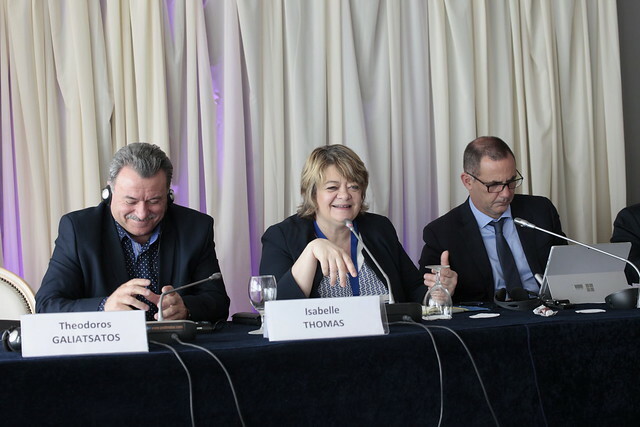 This meeting took place at a very critical point in time, with the ongoing negotiations in the Council and with the European Parliament on the future of EU policies and the upcoming European elections in May 2019. On Thursday 21, the Islands Commission welcomed Nektarios Santorinios, Deputy Minister of Maritime and Insular Affairs of Greece, who gave a keynote speech during the session on transport and accessibility when he stressed the need to adapt public policies to the insularity condition, and therefore isolation, of EU islands, and offer them low-cost and reliable transport connections. In addition, several island Member Regions were invited to share with their peers their best practices and local initiatives to tackle some of the specific issues faced by islands, such as Anne Thomas, Vice-Mayor of Bornholm, who presented the strategy to become, by 2032, the first region in Europe without waste incineration. This ambitious objective will be reached by managing the transition from a linear to a circular economy thanks to the conversion of the waste management system in close interaction with citizens and businesses. More key feedback came from Heremoana Maamaatuaiahutapu, Minister of culture and environment, who presented the current maritime spatial planning strategy aiming at mitigating the impacts of human activities and the effects of climate change on the extreme vulnerability of French Polynesia marine biodiversity. The session dedicated to Cohesion Policy and the EU budget provided Islands Commission members with a state of play on the post-2020 negotiations between the European Parliament and the Council and addressed the place of islands and territorial cohesion in the context of the new Territorial Agenda 2020. The great interest of island regions in these issues were reflected during a technical seminar on Cohesion Policy organised back to back the Annual General Meeting on Friday 22. The aim of this seminar, which gathered experts and managing authorities of Cohesion Policy funds, was on one hand to draw conclusions on the successes and challenges faced by islands in the 2014-2020 programming period, and on the other hand to start reflecting on the developing and programming phase of Cohesion Policy programmes for the post-2020 period. 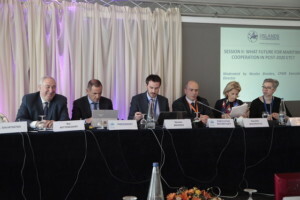 The first session focused on the promotion of integrated territorial strategies in EU islands, and the second session on the future of maritime cooperation programmes, which was opened by Marie-Antoinette Maupertuis, Executive member of the Territorial Collectivty of Corsica and Rapporteur for the Committee of the Regions on the future of European Territorial Cooperation. Rui Bettencourt, Deputy Regional Secretary to the Presidency of the Government of the Azores, presented in particular the specific challenges of outermost regions’ cooperation, taking the example of the MAC Programme (Madeira-Azores-Canary Islands) and their expectations regarding the new Commission’s proposals to facilitate cooperation between outermost regions of different sea-basins and with their neighbouring third countries. In addition, Member regions approved the Final Declaration, which outlines their main political messages to the EU institutions and their national governments on the future EU budget and on key EU policies such as Cohesion Policy, Transport or Energy. At the same time, two important Memorandums of Understanding were signed by the CPMR and its Islands Commission respectively with Greening the Islands, to focus on energy transition and sustainable development and the Observatory on Tourism for Islands Economy (OTIE), to enhance the analysis and promotion of sustainable tourism in islands. 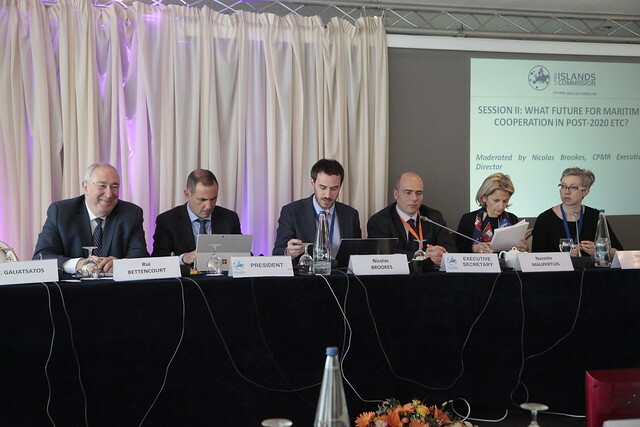 During the meeting, Gilles Simeoni, President of Corsica Executive Council, was unanimously re-elected as President of the Islands Commission by the member regions, which also elected their new Bureau for the year 2019-2020. Jesper Skalberg Karlsson, Deputy Mayor of Gotland, was elected First Vice-President of the Islands Commission Political Bureau. 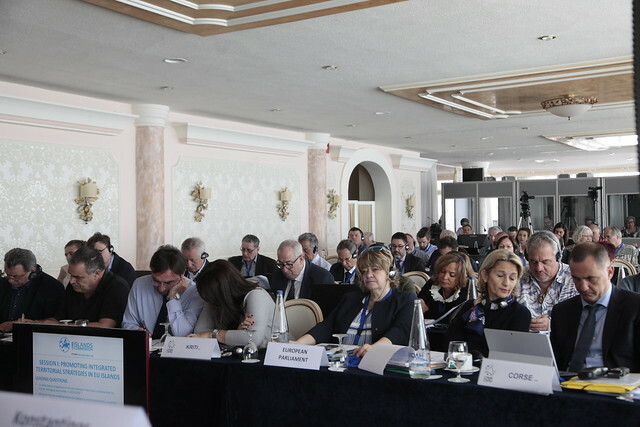 The next meeting of the Islands Commission will take place during CPMR General Assembly in Palermo, Sicily, 16-18 October 2019. The 40th Annual General Meeting of the Islands Commission will be hosted by the Regional Government of the Azores, at a date yet to be determined.